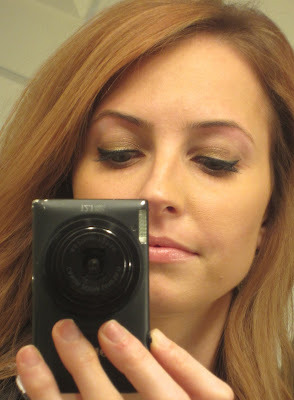 Ever since my sophomore year in college, I’ve probably gotten my eyebrows waxed a total of 10 times. If you do the math, that’s what…maybe a time or two a year? Do I groom my brows myself then? Heck no. I don’t trust myself with that…(flashback to over-plucking in middle school)…eek! *Good news: there’s alternatives to waxing, plucking and tweezing and it’s called threading. I’ve been getting my eyebrows threaded for almost seven years now, ever since my college French teacher suggested it to me one day. Completely random at the time…but totally appreciated. Merci beaucoup Monsieur! While living in Tampa for the duration of my college years, I frequented the eyebrow threading salon by the University Mall. At the time, that was the only place I had ever heard of doing it. 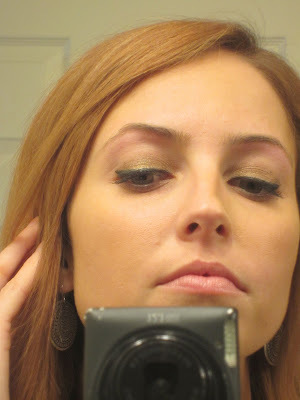 When I moved back to Orlando, I was nervous I wouldn’t find a good place to go for my brow needs and for a while I reverted back to waxing. *Bad News: my skin is highly sensitive. After an intense workout and a warm shower, it can take an hour or so for my face to go back to a normal shade of pale. True story. When I have to get my eyebrows waxed I ask them to use a version of cool wax, if possible or at least to turn the temperature down. Also, I request some sort of soothing cream for after the wax. I only have a few select people I will let touch my brows with wax, and if you have sensitive skin like me, I would not recommend going to just anyone. When creating your perfect eyebrow, consistency is key. To save my skin from irritation from the wax, I try to get my eyebrows threaded every time. Threading has become popular in Orlando, and salons can be tracked down all over the US. Has it gone international? It already has by being in the US! Eyebrow threading originated in the Eastern world, mostly from Arab, Indian and Persian cultures. Women use it as a practice for getting ready for a special occasion, and in ancient Persia it was considered something that transitioned a girl into a woman. *source: Wikipedia. Here’s a quick video explaining what the heck I’m talking about: *source: NBC via YouTube. Does it hurt? Yup. 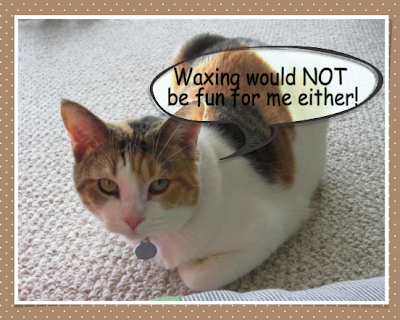 Does waxing? Yup. I hate to say it, but beauty is pain my dears. The first few times I went it hurt…a lot. But, it takes less than five minutes and eventually your skin gets used to the pain. Since I’ve been going for over seven years now, I barely flinch at it. I’m not sure if Rashmi even has a website, but you can read some of her reviews online. It may sound strange that she’s successful without one…but I’m not kidding when I say sometimes her lines are out the door. She doesn’t do call ahead appointments, so everyone is first come first served. A great way to find eyebrow threading in your area is to simply google eyebrow threading in…(your city name). If there’s any close by they are sure to pop up in your search. Threading has even become a couples outing for us. If you’re a male and have concerns about it being a feminine thing to do, you might be mistaken. What would I do without my Rashmi? Do any of you get your eyebrows threaded? Any suggestions for eyebrow grooming for sensitive skin? I’m thinking about trying threading for the first time and have also heard great things about Rashmi’s. So when IS the best time to go? You will love her! The no fail time I found gets me in and out the fastest is Monday or Tuesdays. Usually between Noon and 5 p.m. is the best time of day 🙂 Let me know if you end up going! Thanks for the tip! I actually ended up going to see Rashmi on a Friday shortly after she opened. The wait wasn’t too bad – it actually gave me the opportunity to watch her work. (I was actually only in the chair for less than 5 minutes.) She was fantastic! I have naturally thick brows and she was able to shape and thin them down without completely altering a defining facial feature. Since this was my first time, I guess I’m spoiled =) I’ll definitely going back! Thanks for the tip. I’ve been doing eyebrow shaping with a razor but have never been totally satisfied. I’m surprised to hear it hurts you but you said you have sensitive skin. I would say results are different, as some people said it is painless and some say it hurts for hours and hours. Either way, plucking seems like torture and my skin could not do wax, so I’ll let my eyebrows grow out a bit more (they already look terrible but I want to make sure the natural shape is apparent) and then go check out Rashmi…though I’m nervous since I’m a total first timer with eyebrows in a salon. Also, about how long of a line can we expect? Trying to figure out if it’s bad enough I need to bring a book or just find someone else! Threading doesn’t really hurt, it’s just not comfortable… just like waxing. I think how much it hurts or bothers you depends on your skin! I think you will love threading! I hate plucking and refuse to do my own eyebrows because I always mess up the shape. When you go see Rashmi, tell her it’s your first time and she will make you feel comfortable and not go too crazy on the shape. She is pretty good about doing exactly what you ask for! For me, threading lasts just like waxing does… about 2 weeks. My hair grows extremely fast though! Some friends of mine go as little as once a month. Rashmi charges the standard amount any other threading place does. It might have changed, but before I moved it was $10 which is very reasonable. Her lines tend to be long during certain times. Try to go on a Monday or Tuesday…those are her dead times. If not in the afternoon, then right at 5pm! Those are her dead times. Looking to get eyebrows threaded while in orlando, but with most of the time being spent in the famed theme parks in the area I have no clue when to go. What time would you suggest? Also, i’ve gotten threading in the past but usually get the full face option… Does Rashimi do full face? 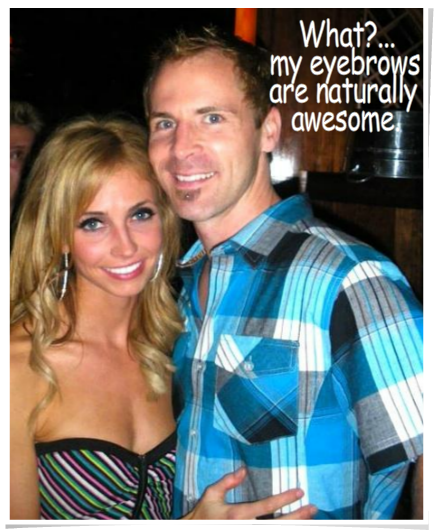 Or only eyebrows? So sorry Emma, I just saw this! Yes, Rashimi does full face, too. I might call to see when the best time for that would be though. I hope you enjoyed your trip!